The Radio Imps (Honest!) with Ted White's Collegians in 1928. Guests have always been rare on "The Big Broadcast." In its earliest days, we were fortunate to have many of those who made the music still with us. 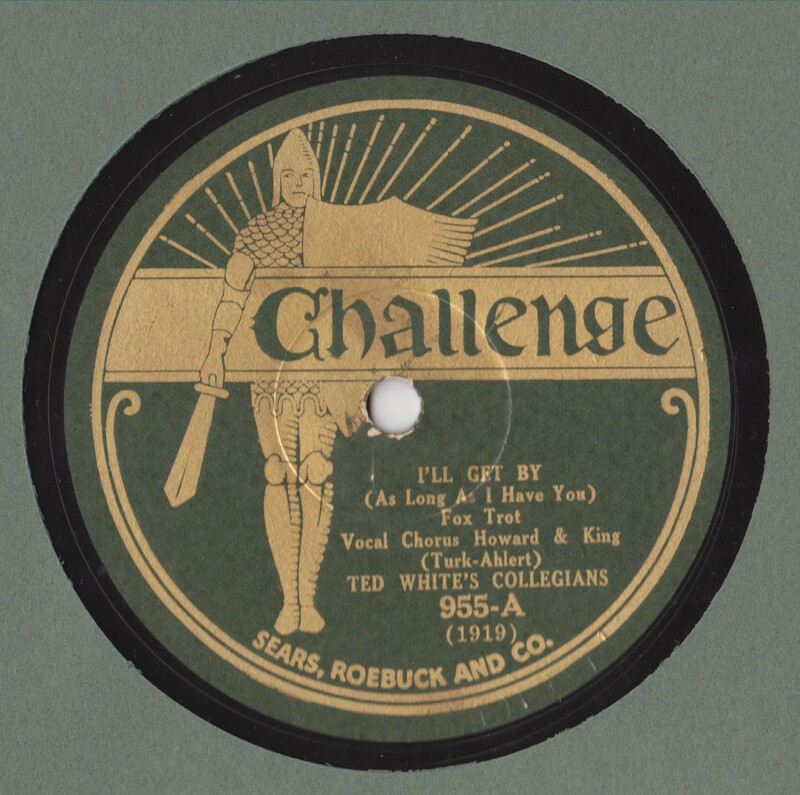 We spent time with arranger Bill Challis, Connee and Vet Boswell, Arthur Tracy, Dolly Dawn and Cab Calloway. The peak was the 1000th show in 1992, when we celebrated with Dolly and Arthur, along with lyricists Edward ("Great Day") Eliscu, and the man who put words to "Star Dust," Mitchell Parish. There were visitors in the years that followed: Joe Franklin, Danny Stiles, Phil Schaap and others. A new round of guests began a few years ago, with an hour spent with Michael Feinstein, a segment that did double duty, since it subsequently showed up on his PBS series. Since then, company has included Vince Giordano, "Uncle Floyd" Vivino, Peter Mintun, Bryan Wright, Bucky Pizzarelli and Ed Laub. On Sunday, Mosaic Records producer Scott Wenzel will talk about what it takes to get out first rate CD reissues these days and how the subjects are chosen. Like the rest of the evening, the hour will be tied to this week's birthdays: Buddy Clark, Johnny Hodges and Charlie Teagarden, all of whom appear on Mosaic box sets. Also tonight, close to twenty recordings that have never been played on "The Big Broadcast." All that money (thanks to you Members!) spent on "78" auctions doesn't go to waste. Those "new" records fuel the show weekly, as well as the annual "Big Broadcast" CDs.